Internship at UPL Ltd. - How I induced a cost-effective process at work! Internship at UPL Ltd. – How I induced a cost-effective process at work! 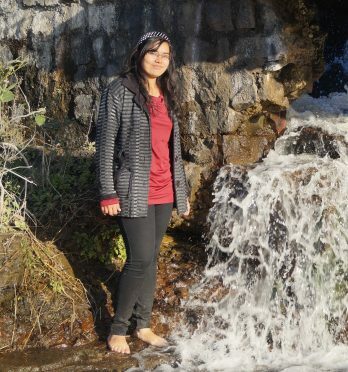 About the Author: Richa Katare, a student from Maulana Azad National Institute of Technology, shares how her experiments led to cost-effective processes at UPL Ltd. In February 2017, UPL Ltd. visited our campus looking for chemical and mechanical engineering interns for their summer internship program. There were two rounds: a written test followed by a personal interview. They gave a presentation where we were briefed about the company, the internship, the work we would be doing, and the kind of talent they were looking for. It is always important to listen to the details of the company during the presentation as it could be useful during the interview. The first round was a written test containing 30 technical MCQs. The questions were easy, and the test duration was 30 minutes. 11 out of 62 students were selected for the interview round. My interview lasted for 30 minutes with a panel of 1 technical personnel and 1 HR personnel from the company. The first few questions were related to personal details. Then, I was asked questions from my favorite subjects like heat exchangers, distillation columns, fluid mechanics, etc. Next, they asked me about my strengths and weaknesses, and questions from my resume. They also asked me why I wanted to join their firm to which I replied that I’d like to apply and see the difference between my theoretical knowledge and the practical processes like the ones I had observed in the pre-placement presentation. The results were announced, and out of 11, only 3 of us were selected for the two-month summer internship program. For the first two days, we had a corporate induction program at the head office in Mumbai. We were briefed about the various parts of the organization by various departments and how all those parts were crucially linked together. Then, we were assigned our projects and work locations. I was the only intern at Vapi because my home was close to that location. I felt lonely and nervous on the first day in Vapi. I was assigned a mentor and tutor. My mentor was the unit head of Vapi. On the first day, he explained about my project, the people I would be working with, and the fact that I had to report to him every day twice to intimate him about my progress. The first week was corporate induction followed by safety and plant induction at the site. I spent the first two weeks understanding the processes in the plant. My project was based on the effluent treatment and reduction of two herbicide plants where I was supposed to suggest a new, better, and cost-effective way of effluent treatment with respect to the current process in the effluent treatment plant (ETP). First, I chalked out a plan on how I was going to proceed. It was important to know the source of effluent first, then learn about the ongoing process of treatment, and then work on finding out a cost-effective way. For the first two weeks, I went to the plant to learn the processes and found out the source of the effluent. One of my seniors in the plant helped me understand and collect data from various departments. I majorly worked with the Research & Development team and carried out different experiments. Then, I went to the ETP to find out about the ongoing processes. The main problem was with the chemical oxygen demand (COD) of the effluents. Before proceeding, I found out the composition of the effluent stream by listing down things that could be tested and submitted the samples to the quality department. Then, I conducted experiments on extraction using an organic solvent. I tried a number of extractions on samples of different batches to check the consistency of results. However, the COD reduced only by 50%, and if any further processes would have been applied the costs would have risen. Next, I went to the green cell to discuss the biological treatment. I wanted to check how much organics the bacteria could eat up. So I did experiments with biomass on different samples. Then, I came up with dilutions with the ETP outlet treated stream. I was trying to recycle the already treated effluents and make different diluted solutions with different ratios. After that, I combined extraction and biological treatment which gave me the desired results. Economically, the process was costlier. However, there was an alternative. If the effluent stream was directly mixed with the ETP outlet treated stream, the overall COD would increase which could save the company a fortune with respect to evaporation. I discussed the costs of those possibilities with my mentor and eliminated some points as they were costlier than the ongoing process. I suggested a way in which a part of the effluent could be recycled and the rest could be dumped. The first few experiments failed but the idea was to continue experimenting. However, it required a lot of time and experimentation, and I only had two months. So I gave the idea to the Research & Development department to work on in the future. Obviously, there could have been a better way, there is always scope for improvement. My mentor kept motivating me and gave me new ideas that I could work on. All the people were helpful and cooperative. The important thing was to be dedicated towards my work and to believe in myself. I was happy to be assigned a project where I could develop my skill sets effectively. In the end, we had to present the work we did at the head office in front of a panel. Do you also want to work in the core engineering sector? Check out these latest chemical engineering internships! Today UPL company visited our college NIT Surat. I am from electrical engineering branch. I passed all the rounds along with Personal interview. They selected 2 students for Summer internship. Can you please tell what and where an electrical engineer has to do for the company during internship. Richa might not be following the post. You could visit the official career page of UPL Ltd for details. other electrical devices. There is a maintenance department in all companies where the mechanical, electrical and instrumentation people take care of the working of the plant apart from the main process.